Today in Masonic History Henry Lee III is born in 1756. Henry Lee III was an American patriot and governor of Virginia. Lee was born on January 29th, 1756 near Dumfries, Virginia. Lee was related to Thomas Jefferson through his great-grandmother who was Jefferson's great-aunt. Lee attended the College of New Jersey, which is now Princeton University. He graduated in 1773 and began pursuing a legal career. When the American Revolution started, Lee joined a Virginia dragoon detachment as a captain. His unit would attack military groups using guerrilla tactics. 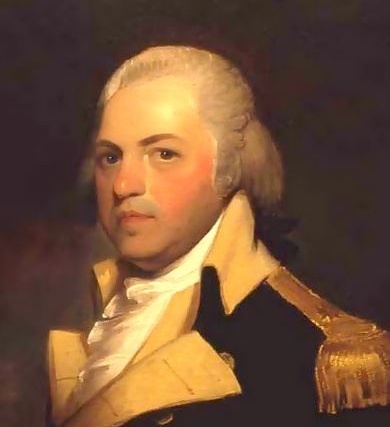 By 1778 he was promoted to the rank of major and given command of his own unit. In September of 1778 his unit defeated a Hessian regiment at the battle of Edgar's Lane. It was during this particular command that he gained the nickname Light-Horse Harry for his exceptional horsemanship. In 1779, the Continental Congress voted to give Lee a Gold Medal. An award that was not given to anyone else under the rank of general. Lee was promoted to lieutenant-colonel and was assigned to a command in the southern theatre. Specifically he operated in and around South Carolina. It was during this command that Lee led his unit during Pyle's Massacre. Lee's unit conducted a campaign of terror and intimidation against loyalist units. Lee disguised himself as a British Commander and went to meet with a Loyalist militia commanded by Dr. John Pyle. When Lee approached the unit in disguise his men opened fire killing and dispersing Pyle's men. His would also be involved in several successful attacks on a variety of forts throughout the region. From 1786 to 1788, Lee was a delegate to the Continental Congress from Virginia. In 1788 at the Virginia convention he recommended the acceptance of the United States Constitution. From 1791 to 1794, Lee served as the Governor of Virginia. Lee accompanied George Washington to help squash the Whiskey Rebellion. Lee, famously eulogized George Washington saying the line "First in war - first in peace - first in the hearts of his countryman...."
On July 27th, 1812 Lee received grave injuries when he, and a group of federalists, who opposed the war of 1812, were arrested at the Federal Republican a Baltimore paper. At the jail a group of Democratic-Republicans broke into the jail and beat and tortured Lee and others over the next three hours. Lee sustained permanent injuries from the incident. After the incident in Baltimore, Lee sailed to the West Indes to try an recuperate from his extensive injuries that caused him to have a problem speaking. He passed away on March 25th, 1818. Lee was the inspiration for the character that played Benjamin Martin's (Mel Gibson's character) commanding officer. His exploits in South Carolina played a large role as well. Lee was a member of Hiram Lodge No. 59, Westmoreland, Virginia.